I got one Apple Pie with Grilled Cheese from McDonald's. 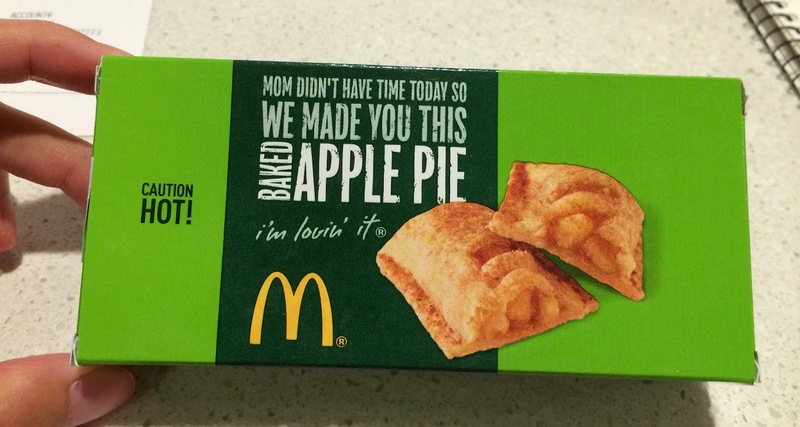 I was planning to get a peach pie that I heard it's good from a friend of mine, but they didn't have that flavor but apple, so I assume it's limited time offer flavor. 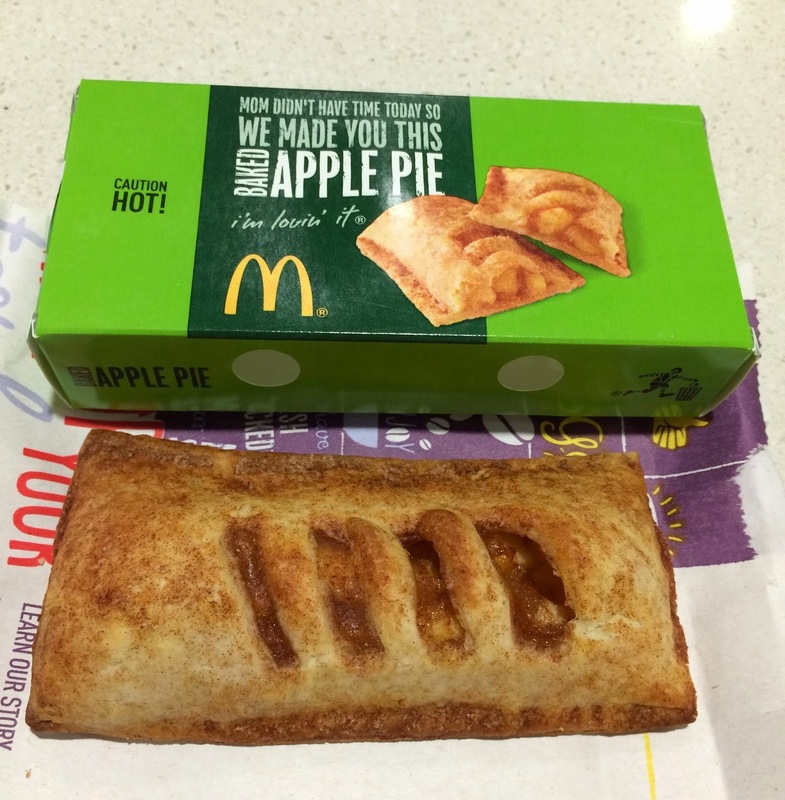 It's been a while since I had an apple pie from McDonald's Japan and it's my first time to try an apple pie from US McDonald's. The package was different from that of Japan. And the appearance of the pie was different, too. 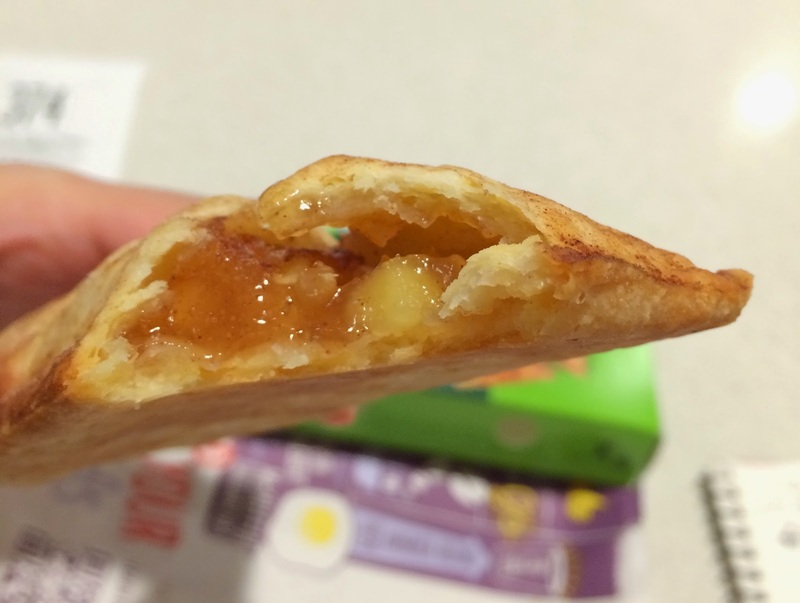 Japanese apple pie is fully covered with fried pie sheet and there's no cut line. 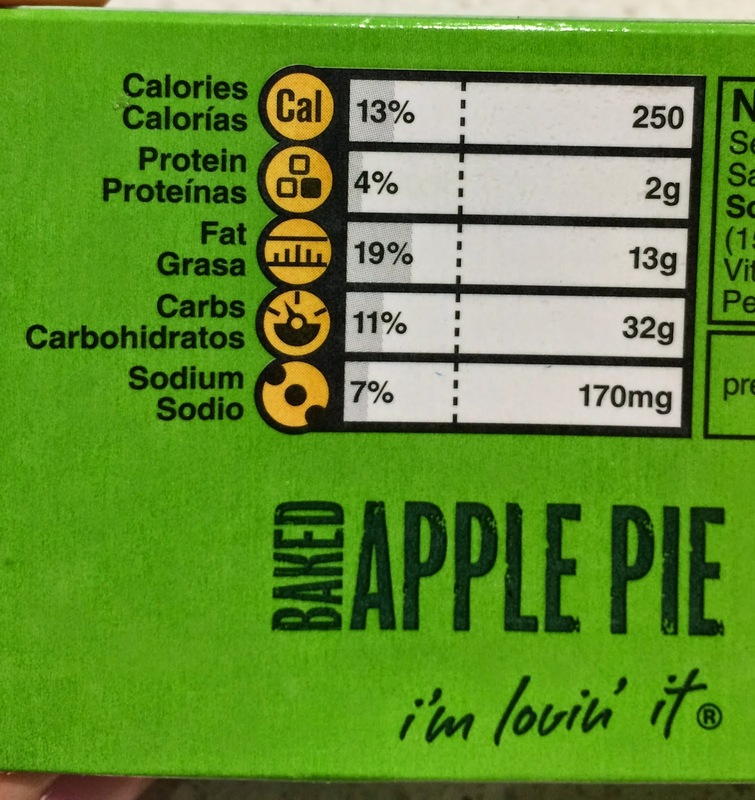 This apple pie had 4 lines where I could see apple comport, and the dough wasn't fried but baked. The dough was chewy and not crispy like pie sheet which McDonald's Japan uses, and the cinnamon flavor was much stronger and it tasted much sweeter. It's easy to hold as the dough wasn't too greasy and firm, but I'm used to the apple pie produced by McDonald's Japan and this pie was something different form I knew.